There are several bands/artists which have used this name 1) English psychedelic/progressive group formed in 1968 2) German progressive rock band from 1970 3) Swedish progressive psytrance duo 4) Swedish progressive metal group formed in 1999 5) Australian band Love Outside Andromeda which started as Andromeda 6) Power metal band from Guatemala 7) Dance-metal band based in Devon, UK 8) Television show "Gene Roddenberry's Andromeda"
8) Television show "Gene Roddenberry's Andromeda"
1) Andromeda were an English hard, progressive and psychedelic rock group, that formed in 1968. Led by John Du Cann (lead vocals, guitar), the band recorded an eponymous album in 1969 with backing vocals by Eddie Dyche, which was re-released in 2000 as a two disc set that contained that album and a number of demos, singles, and live recordings under the name of Definitive Collection. The group split upon Du Cann's departure to join Atomic Rooster in 1970. Du Cann, Hawksworth and Collins played on The Five Day Week Straw People album. 2) Andromeda was a German progressive rock band which played very British style of rock similar to Atomic Rooster, Rare bird or Bram Stoker with heavy organ sound. They confusingly, sounded more like Atomic Rooster than the earlier British band named Andromeda, the latter of whom actually featured future Atomic Rooster guitarist John DuCann. 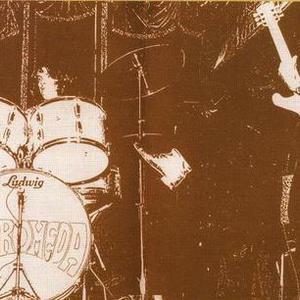 They recorded only one album "Andromeda" in 1970 before they disbanded. The album opens with the homonymous track Andromeda, already presenting a hard-rock with keyboards in the spotlight. There is no shortage of ideas especially in jazz where the final round of the bottom seems borrowed from Valentyna Suite. Cosmos Main Road following the introduction performed by the classical piano for one song in a half a pulled very hard rock. Beautiful work done by the keyboards. Galaxy Of Beauty, Galaxy Of Nightmares is a blues-rock more conventional although there are also some interesting changes with melody in choral style. A World On A Star is a slow song for piano and organ once again in classic style. Space Trip breaks again with a very hard-rock pulled out is where the long drum solo finish which highlights the technical qualities of Steinborn absolutely not be underestimated. Rockets is one of the best evidence of the disk being the longest track. The starting point is the jazz-rock but scattered inside you can hear psychedelic cues that make the track more deep and fascinating. Closes Silvery Lady Star, the most pop track that adds little or nothing to the rest of the disc. 3) Progressive psytrance duo Andromeda are Anders Nilsson (from Sweden) & Nick Kostoglou (Greece) and was formed in 2002. They have released three albums: Temptations (2004), The Remixes (2005) and Sensations (2005). Anders N is a 31 year old producer and songwriter from Sweden. He studied Media, Recording and Editing in Swedish Gymnasium and worked as Sound engineer when he was not busy with writing music. He has been involved in Hip Hop, Musicals and Pop projects before ending up in trance and experimental ambient music in the mid 90's. Aside from Andromeda, Anders also runs the act Chromosome with success. Previous releases from Anders can be found on: Spiral Trax Records, Transient Records, Why Not Records etc. 4) Andromeda are a Swedish progressive metal group. The origins of the Swedish quintet can be traced back to 1999 when guitar player Johan Reinholdz submitted the demo ?Welcome to Forever? to the record label WAR-music who wanted to sign a deal. The feeling was mutual and Andromeda came together as Thomas, Martin and bass player Gert Daun and Johan started rehearsing the songs for ?Extension of the Wish". In March 2000 Andromeda entered the Dug-Out studio to cut the album with acclaimed producer Daniel Bergstrand. Vocal duties were handled by Lawrence Mackrory, doing the job as a hired gun. A month later it was mixed and ready, but it wasn?t until February 2001 that ?Extension?? hit the record shops. In the meanwhile, the Andromeda line-up was completed when David joined the band in August 2000. Containing a dose of heavy, intense yet melodic progressive metal ?Extension?? quickly seized the interest of magazines, webzines and fans. To support the album the band made a tour of Sweden during the spring and also made a succesful appearance at the Progpower festival in the Netherlands in October. August was spent re-recording the vocals for ?Extension?? ,this time by David, remixing the tracks and recording two new tracks for a French release of the album by the label NTS. It was released in November and Andromeda went on a tour of France together with Evergrey in February 2001. At this point the band had already began cutting the tracks for their second assault: ?II=I?. The recordings continued throughout the year with Martin as producer. In August the album was completed, containing a more complex, vocal-oriented style of Andromeda. In 2003 bass player Fabian Gustavsson replaced Gert, adding the final piece to the powerful jigsaw puzzle that is the ultimate Andromeda line-up. After a world wide release of the album, touring and festival gigs the band began writing material for their upcoming album ?Chimera?, and in the spring of 2004 the recordings were initiated. Striving for a simpler, more in-your-face kind of approach, the new material is certainly a step forward for the band, already approved by the Swedish and Turkish crowds. The third album is once again produced by Martin, going for a rock-solid sound. ?Chimera? contains all the elements that Andromeda is built of, but certainly stands out as a new, fresh chapter in the musical evolution of Andromeda. Following the bands european tourdates Andromedas first live DVD "PLAYING OFF THE BOARD" was released in April 2007. This high quality product has recieved raving reviews and shows what the band is capable of in a live situation. The fourth and latest release by the band is called "THE IMMUNITY ZONE" and was released during the early fall of 2008 throughout the world. Stronger than ever, Andromeda is here to show you something you have not heard before: their dark, brutal, energetic, and intelligent roots. 5) australian band Love Outside Andromeda started as Andromeda in 2001, and after releasing 2 EPs (2001's Umabel and 2003's Something White and Sigmund), changed their name to avoid confusion and have since released two full-length albums under the new name. The band is currently on a hiatus while its members explore individual projects. 6) Power Metal band from Guatemala. One of the best metal bands from there. They have opened to bands such as Helloween. 7) Dance-Metal band based in Devon, UK. Now disbanded, many of the members now play in a band called Trimorphous. 8) The Sci-Fi television show "Gene Roddenberry's Andromeda" also scrobbles as Andromeda when it is played through iTunes or FrontRow. 9) Eternal Tears of Sorrow released one and recorded (but never finished) another demo under this name in 1992. 10) A chip-tune composer (Morgan Norrestam) from Sweden, who was a member of the following scene groups: ADDICT, Cryonics pc, Fairlight, Green, Kosmic Free Music Foundation, Noice and Razor 1911.